Owning your own home is full of exciting experiences especially for first time home owners. Even if it is not an immediate concern, it won’t take you long to discover that there are many responsibilities when it comes to maintaining and taking care of your property. According to the knowledgeable experts at United Garage Doors, winter garage door maintenance is one of the most overlooked areas in the home when it comes to maintenance and repairs. In fact homeowners across the nation are guilty of making the mistake of taking advantage of the smooth operation of their garage door, that is at least until something goes wrong. 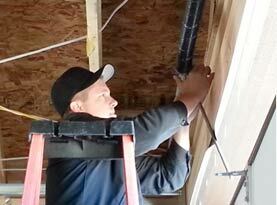 Unfortunately, without professional maintenance and repairs the integrity of your garage door may be compromised. Clean Garage Door – One of the most important things that you can do to keep your garage door property maintained is to keep it clean inside and out. The outside of your door is prone to gathering dirt, pollen and other debris but it can be kept clean by washing it with a mild detergent and water on a regular basis. Garage Door Inspection – Examine your garage door to ensure that all of the working components are functioning correctly. The more familiar you are with the way your garage door works the more likely you will be to recognize any general wear and tear. Tighten Loose Nuts & Bolts on Hinges. 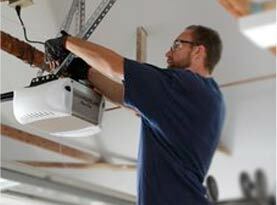 Nuts and bolts loosen over time as your use the garage door. Ensure that your door’s balance is working correctly. The best way to test this is to disengage the automatic garage door opener and open the garage door till it is waist high. The door should stay in place, if it moves up or down, then the balance is off and it will need to be readjusted. 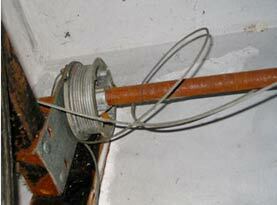 Check Garage Door Safety Reverse. Begin by opening the door completely and placing a rolled up towel on the floor in the center below the open door. Press the button to close the garage door. The door should reverse automatically when the door touches the towel. Examine Photo Eyes. Wipe them down with a soft cloth to keep them clean. 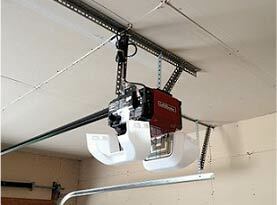 Press your garage door opener to close the garage door and wave an object in front of the eye to break the beam. If it is working correctly, the door will stop and reverse itself. Maintain Garage Door. Care for all the moving parts of your garage door and opener by keeping them properly lubricated with a silicone based lubricant spray. Your garage door is one of many working components within your home and to keep it working correctly its needs to be maintained throughout the year to ensure optimal performance. To learn more about garage door inspections, maintenance, repairs, and garage door installations contact the knowledgeable experts at United Garage Doors today.